As I said in the previous post, I am reading Peter Van Buren‘s most recent novel, Hooper’s War: A Novel of World War II Japan, It is structured as a story told from end to beginning, both ending and beginning as narrated from a retirement home in Hawaii by a ninety-year-old Nathaniel Hooper, looking back on an eventful several days of his life, seventy years (and an alternative universe) behind him. With Former Lieutenant Hooper on my mind, it was no surprise, then, that I was especially open yesterday to a real combat veteran, some twenty years younger than the fictional officer. It was only our second meeting, but he was anxious to tell me a tale much shorter than Hooper’s, yet perhaps, for him, just as profound. In another Asian war some twenty years later, this combat vet had come up the rear of a very famous battle, just as his fellow soldiers had broken through the lines. He readily admitted that he had thus been spared the horror of witnessing death occur right before him, next to him, behind him. But at nineteen (the same age as young Lieutenant Hooper, miles and years away—and yet not), he did have not to only witness, but also to cross over and, even, at times to step upon the remains of what Death had left behind. He stressed the words remains. In Mr. Van Buren’s book, Mr. Hooper had a story to tell, to any who might be willing to listen. My patient also found himself having a story to tell, although found himself is indeed the right expression. For he narrated to me that, almost as an out-of-body experience, he had recently spoken to a group of peers about his memories of that day. Even as he told me of his conversation, he could not fully grasp, intellectually or, if you will, physically, that he had actually spoken the words that he had spoken. He had wondered whether he had said too much. His companions told him that he had not. He was willing to accept their assessment. I suspect that my patient’s tale was far less skeptical of War than was the tale of Van Buren’s Hooper. Yet I could not help but recognize that both still spoke the same story: once War has been, it is and will be. Whether fifty or seventy years later, it will still demand to be spoken, from out of a body and a soul that still can find itself filled with War’s remains, demanding those remains be emptied into a world, whether that world wishes to receive them or not. Whether speaking in anger, in sadness, in distress—even, sometimes, in awe—War will have its say, in different voices, with different inflections, with stories coherent or not, with sentences complete or not. The soul must tell its tale. And so I listen. And read. And then our Hero . . . Earlier this week I read Army veteran, memoirist/novelist Matt Gallagher‘s story, “And Bugs Don’t Bleed,” in the collection Fire and Forget: Short Stories from the Long War. 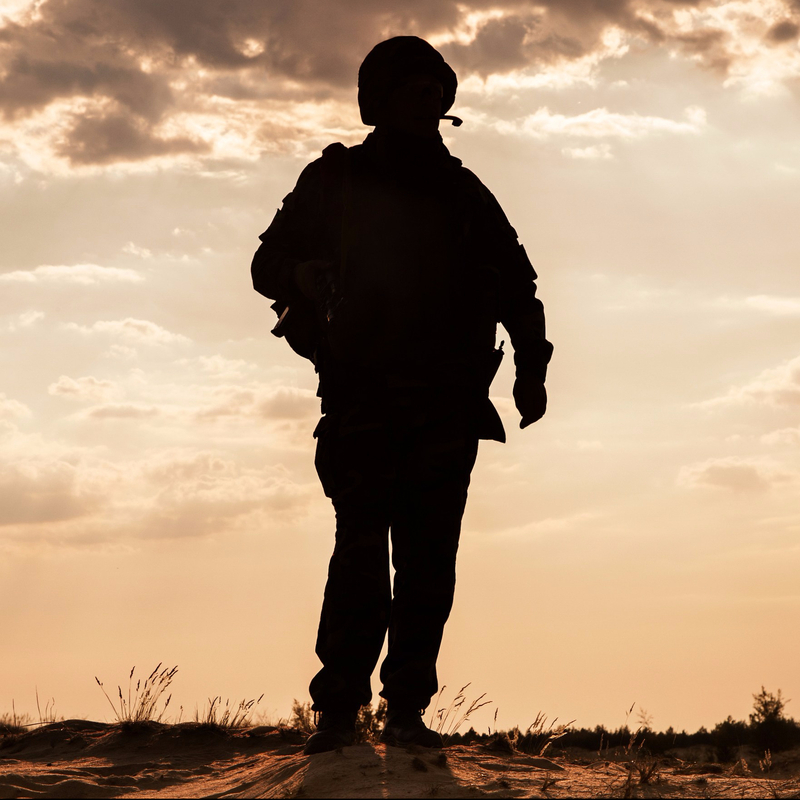 It is a memorable tale, to say the least, of an Army scout, about to head out for another deployment, who ponders memories—and who, quite painfully, creates them as well. Also earlier this week I sat with a young Army veteran who is trying to get better sleep. A worthy goal, certainly. Fortunately for him, he is not tormented by nightmares. Rather he is tormented by an emotional edge that simply refuses to settle with the mere darkening of the environment. Also, fortunately for him, his mind rarely edges back to War at night. It edges around and into his day, his past, his tomorrow, his future, wandering with an edge, biding time with an edge, prone with an edge. He did tell me, ever so briefly, of memories of his own, of ones he had not created, yet which he had had to watch, hear, clean up after. Memories of “Taps” that he refuses to linger over. Who needs the brass section, after all, in a life of Hard Rock. So what will happen to our Heroes, one in his fictional universe, one in his very real one? I haven’t a clue. I hope that one hero will sleep better. I made him no guarantees. He’s been edgy at night since he was a kid, after all. There’s only so much a poor little pill can do—or only so much one wants to put up with from a nasty little pill. He and I will discover that together. Yet it is the distant future I wonder about. Believe me: many a combat veteran has found ways to manage memories, both created by them and created within them. I would say that the antidote often does have some element of motion, of edge to it. Keep moving. Even if the memories are following you, you can usually depend on the theory of relativity to keep up the illusion of their being immobile, willingly keeping their place on the third shelf on the left. But it’s not always motion they must turn to. Not at all. Sometimes memories, even quite painful ones, can perch on shelves and stay put. Life is not predictable. Yet I still wonder. Much of my days are now spent with combat veterans from the Vietnam War era who had thought that their memories had long ago melted in the subtropical heat. They look at me and ask me, “How is this happening?” There is an answer to that question: the brain is not predictable. Not exactly satisfying as an answer, no matter how true it might be. I hope my veteran friend finds sleep. I hope his memories stay put. We’ll find out together—or he’ll find out himself, long after I’m gone. And I hope somewhere in some fictional universe, Will, the Army Scout, the creator and creat-ee of memories, will find his peace, too.